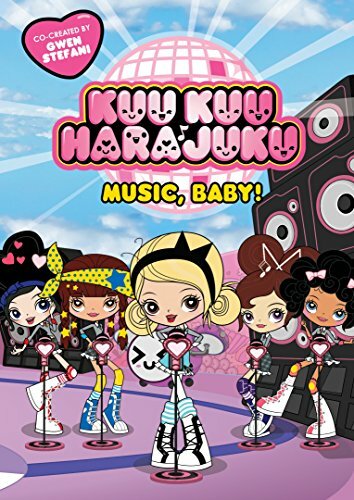 Superstar Gwen Stefani’s animated series KUU KUU HARAJUKU will be coming to DVD in North America from Shout! Factory in collaboration with DHX Media. The first installment, KUU KUU HARAJUKU: MUSIC, BABY!, contains 14 episodes from Season One and will be available on DVD on June 13th 2017. Initial shipments of the DVD contain a code to download the KUU KUU HARAJUKU theme song (while supplies last). KUU KUU HARAJUKU: MUSIC, BABY! is available now for pre-order at Amazon.com and ShoutFactory.com. The 2D-animated series currently airs on Nickelodeon in the U.S. and on Family Channel in Canada. The animated series KUU KUU HARAJUKU follows the fun-filled adventures of the band HJ5 – Love, Angel, Music, Baby and G – through their super kawaii (cute) world of music, fashion and style. 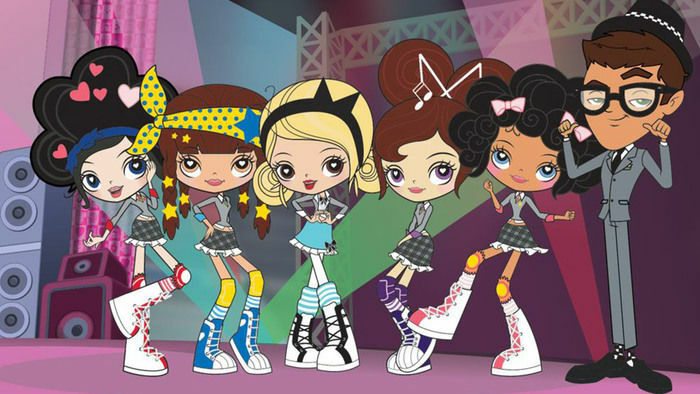 The inspiration for this popular animated series came from Grammy® Award-winning musician Stefani who wanted to create an animated series for girls that encourages and celebrates creative self-expression, imagination and individuality. The show’s setting is inspired by the exuberant street fashion and creative youth culture of the Harajuku district but it takes place in a magical fantasy world like nothing you’ve ever seen before. Then, there is Rudie Rhodes, HJ5’s well-meaning but semi-incompetent manager. He books the band on all sorts of gigs, and they are happy to play anywhere, but dealing with villains, aliens and general Harajuku weirdness makes it impossible for them to ever finish a concert! KUU KUU HARAJUKU is co-created and produced by Moody Street Kids (Australia), Vision Animation (Malaysia) and Gwen Stefani and commissioned by Network Ten with investment funding from Film Victoria (Australia) and MyCreative Ventures (Malaysia). DHX Media handles international distribution for the series, and licensed the series to Shout! Factory. About DHX Media: DHX Media Ltd. (www.dhxmedia.com) is the world’s leading independent, pure-play children’s content company. Owner of the world’s largest independent library of children’s content, at more than 12,500 half-hours, the Company is recognized globally for such brands as Teletubbies, Yo Gabba Gabba!, Caillou, In the Night Garden, Inspector Gadget, Make It Pop, Slugterra and the multiple award-winning Degrassi franchise. As a content producer and owner of intellectual property, DHX Media delivers shows that children love, licensing its content to major broadcasters and streaming services worldwide. Through its subsidiary, WildBrain, DHX Media also operates one of the largest networks of children’s content on YouTube. The company’s robust consumer products program generates royalties from merchandise based on its much-loved children’s brands. Headquartered in Canada, DHX Media has offices in 15 cities globally, and is listed on the Toronto Stock Exchange (DHX.A and DHX.B) and the NASDAQ Global Select Market (DHXM). About Shout! Factory: Shout! Factory, LLC is a diversified multi-platform media company devoted to producing, uncovering, preserving and revitalizing the very best of pop culture. Founders Richard Foos, Bob Emmer and Garson Foos have spent their entire careers sharing their music, television and film favorites with discerning consumers the world over. Shout! Factory’s entertainment offerings serve up feature films, classic and contemporary TV series, animation, live music and comedy specials. In addition, Shout! Factory maintains a vast entertainment distribution network which delivers culturally relevant programming, movie and audio content to all the leading digital service providers in North America and across multiple platforms. Shout! Factory owns and operates Shout! Factory Productions, Scream Factory, Shout! Factory Kids, Shout! Factory Films, Mystery Science Theater 3000, Timeless Media Group and Shout! Factory TV. These riches are the result of a creative acquisition mandate that has established the company as a hotbed of cultural preservation and commercial reinvention. Shout! Factory is based in Los Angeles, California. For more on Shout! Factory, visit shoutfactory.com.